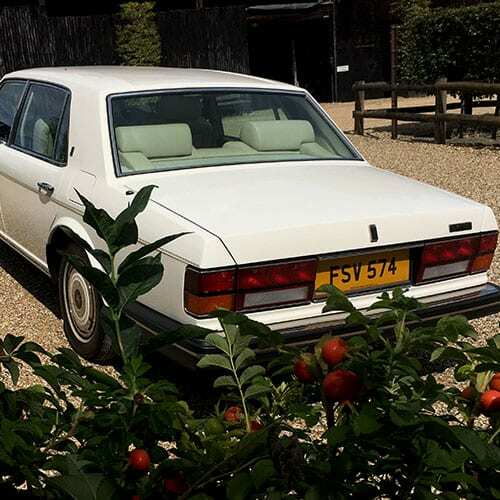 Azure is only the second owner of this 1988 Silver Spur; it having been serviced from new at the local main dealer. Its low annual mileage means that it is in fantastic condition. 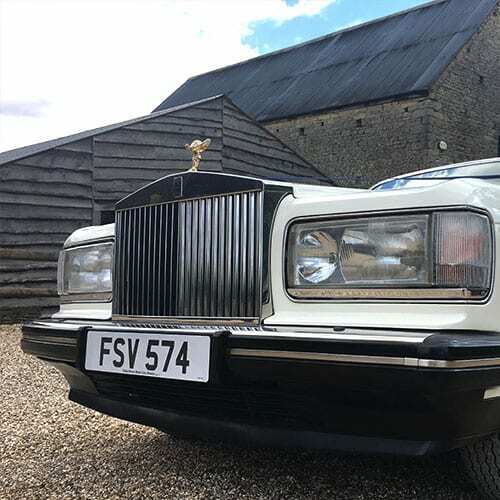 Painted by Rolls-Royce in Old English White, its plum wool carpets and sumptuous cream leather allow this classic wedding car to exude grandeur effortlessly. 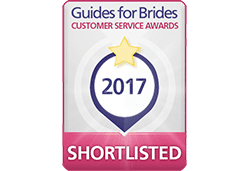 After the ceremony, you will have the option of using Azure’s Champagne service where the newly-wed couple can each enjoy the celebratory drink provided by a member of the bridal party, during a half-hour scenic drive to the wedding reception. 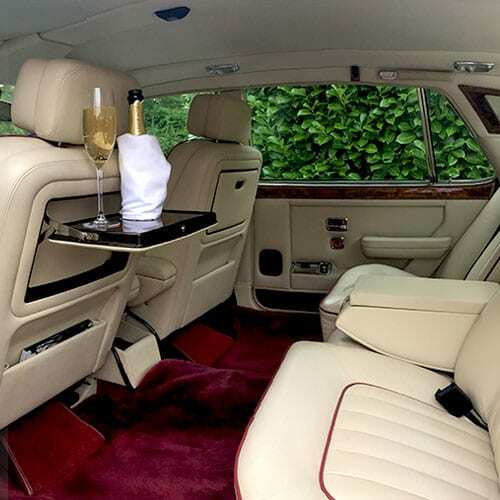 The Silver Spur is equipped with a Champagne holder, providing somewhere for you to place your glass between sips.